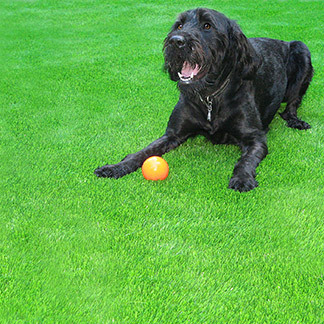 Own your own Okotoks artificial grass lawn, and enjoy practically no yard maintenance, ever! Once again Precision Greens has raised the bar for artificial grasses everywhere. Do you want a superior looking lawn, that requires no hard work maintaining, and will leave all your neighbours envious of your flawless appeal? With over 3000 artificial grasses and 1100 golf greens installed, we have given every property a spectacular look and feel you could only achieve with one of our unique designs. 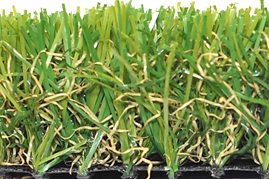 By helping lead the industry for over 17 years, we continue to exceed customer expectations and provide quality artificial grasses. 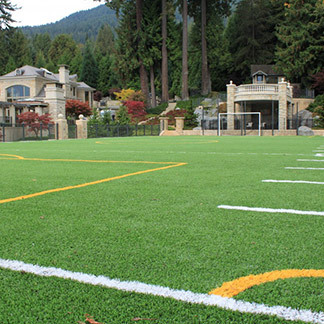 How do we compare against other artificial grass? Well let me tell you. 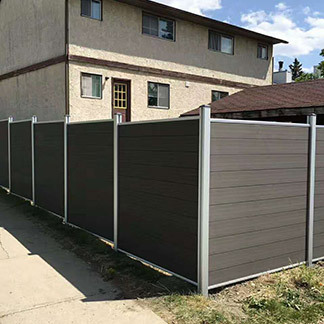 Here is how we can give you the best yard in Okotoks. 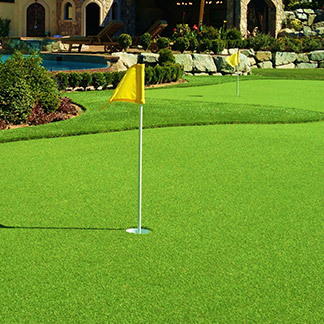 Variety: A perfect selection of stylish options are presented to give any home or golf green an unmatchable appearance. 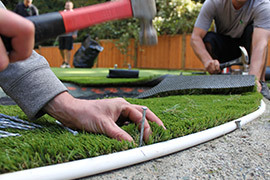 Our lawns provide an attractive finish that looks and fits naturally. 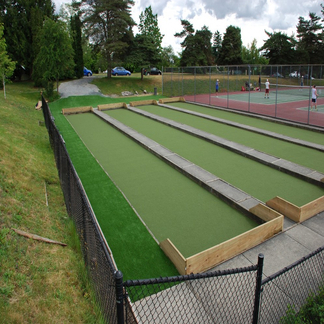 Realistic: From the use of Wave Blade and U shape technology, we have created the ultimate comparison to non-artificial grass. Incredibly life like and realistic, the colour, shape and texture perfectly portray a natural look and feel. 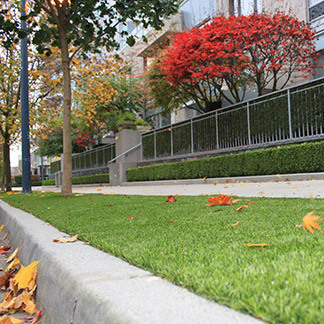 Design: The design makes the grass strong and durable, ready to endure any bad weather Canada has for it. Water will drain right through and the UV protection keeps its deep rich colour all year round. Safe: Every product is safe for everyone one to use, meaning even children and pets are free to enjoy without any concerns. It has been tested and proven environmentally friendly and is made from a non-flammable material. So when the weather turns dry, you can still pull out the barbecue with no concerns. 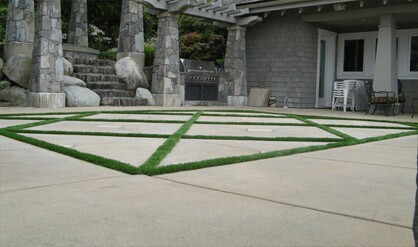 Comfort and Ease: Incredibly simple and easy to maintain, you will love owning a Precision Greens artificial lawn. You can finally have a lawn with no stress or intense labour needed, so you can easily find yourself enjoying it and your new found spare time. Easy maintenance: Only simple cleaning will ever be required and that has been made even easier thanks to the structure of our artificial grasses. All debris, objects, even pet waste, sits easily positioned for you to effortlessly remove it. The rest can be rinsed away with a wash from the hose to return that glamorous look and finish. 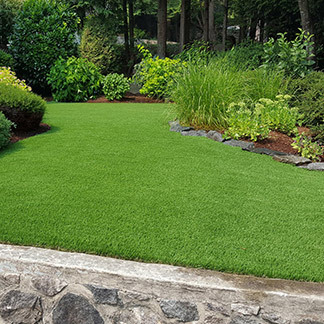 Reassurance: All of our pristine artificial grasses come with a 10 year product warranty along with a 3 year workmanship warranty to top it all off.